The following post was sponsored by the GM BuyPower Card from Capital One®. All opinions are my own and not directed by Capital One. 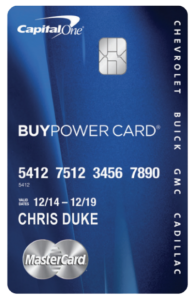 To learn more about the GM BuyPower Card, click here. As I continue to stick with my 2018 resolutions, such as keeping my vehicle well-equipped, I’ve spent some time researching new products that are sure to make this year better than ever for car enthusiasts. With that in mind, I listed out a few products that I would personally purchase for myself or my family. The best part? All these products can be purchased online for under $100 dollars. Before we start, I’d like to thank the GM BuyPower Card for sponsoring this blog post and allowing me to share my favorite finds! First up is a mechanics tool set. You should never drive without one. 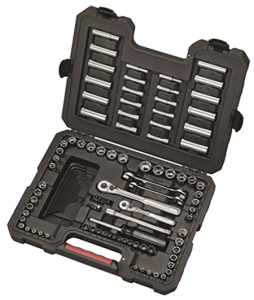 No, you don’t need a giant 300 piece tool set… your basic wrench/socket/screwdriver set will do just fine, like this one. Just make sure you have both metric and standard sizes, in case you need to help a friend out, too! 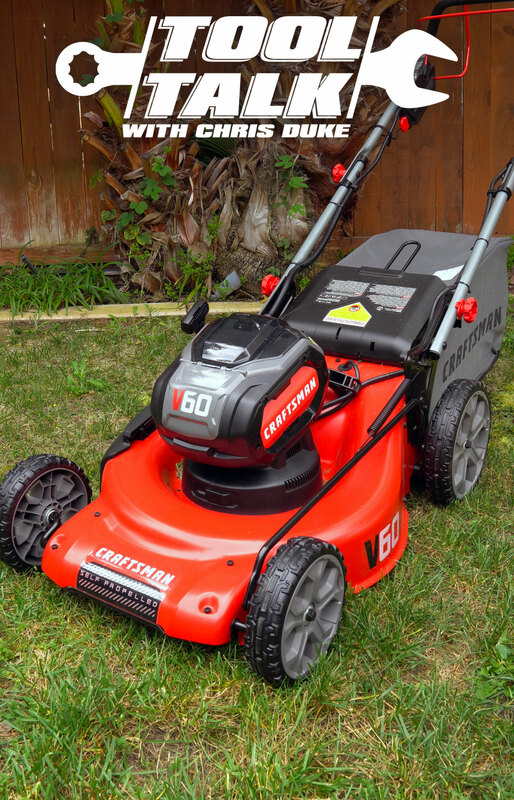 When your car won’t start, it could be because of a dead battery. I’ve been there, my wife has been there, my daughter has been there, and I know you have been there too. It’s such a hassle no matter what the solution may be. 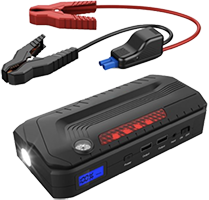 What if I told you that you could just whip out something like this, jump start your own vehicle in seconds and be on your way? Most of them also have built in lights, and USB ports to charge your phone in a pinch as well. These are the multi-purpose pocket knives of the car world, and you’ve got to have one! During the cold, snowy, winter months, you may dread waking up to your snow-covered vehicle. Why not just put a windshield snow cover on before snowfall? Then in the morning you just lift it up and in a minute you’re off and running. No ice scraping, stretching out over a windshield or freezing your buns off. Brilliant! Don’t laugh! It happens. You go on a long, unexpected road trip and several things can happen. You could get stranded and need a quick place to nap. You could get tired from driving too long and need to pull over to take a quick snooze. Or even more likely… you end up staying at the in-laws, and well…you just need to get out of there for some peace and quiet. 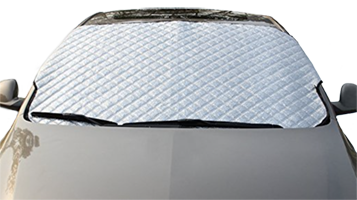 Whatever your dire sleeping situation is, they do in fact make inflatable air mattresses for the back seat of your sedan (like the one pictured here), the back of your SUV or the bed of your pickup truck. 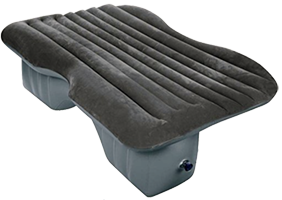 Get one with a 12V pump to inflate (and deflate) and a comfy pillow top. Note: For your safety, don’t use the inflatable car air bed while the vehicle is in motion. Do you have kids? If you’re like me and you do too, you know the amount of stuff they need to keep them happy can be quite a lot, especially on long drives. That’s why I recommend you get a seat-back organizer like this one. Not only are they able to hold the necessities, but a tablet as well. It’s you’re all-in-one entertainment center and snack bar for your kids! Ok, I lied. There’s a sixth bonus “must have” product and it’s the gift that keeps on giving. 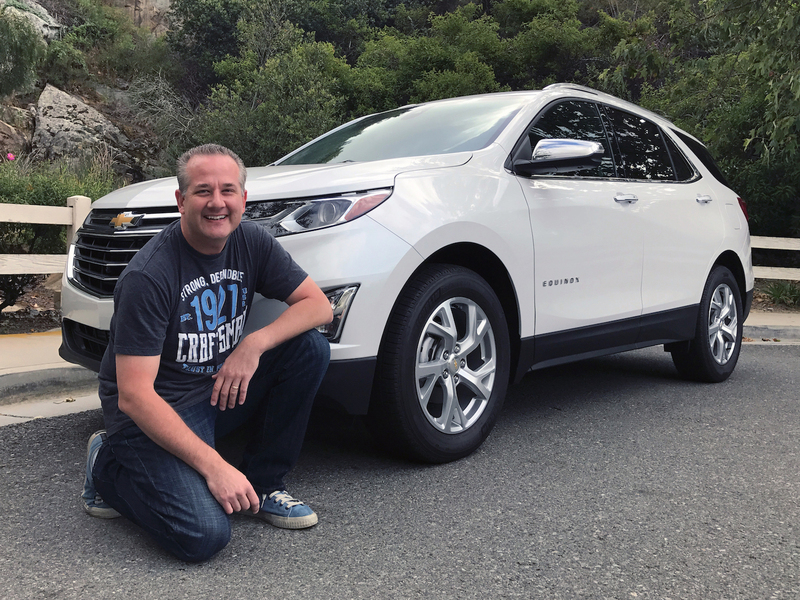 The best way to pay for all these new accessories is by using a rewards credit card that allows you to save for a new GM vehicle… to the tune of 5% back on the first $5,000 of purchases each year, then 2% unlimited beyond that. The end result is that you can accumulate Earnings for every dollar spent that can be used toward the purchase or lease of a new Chevrolet, Buick, GMC or Cadillac vehicle. I’m talking about the GM BuyPower Card. It’s what’s in my wallet, and it should be in yours. Think about it… get it now, use it for every day purchases and down the road you could be treating yourself to a new GM vehicle. Earnings don’t expire on an open Account, and you can redeem them at any GM dealership around the country. You can learn more and sign up at BuyPowerCard.com. 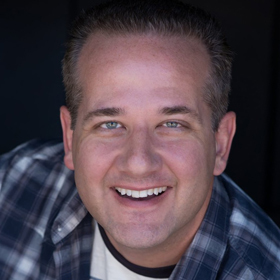 I hope my automotive recommendations can help you have the best year yet! *BuyPower Card Earnings may not be used on fleet vehicle incentive programs or with some other offers and discounted sale programs, such as the GM Employee Discount.